Meet Ella Breslaw, the founder of Helping Hands Foundation for the Arts. Ella is a single mom who overcame the effects of a difficult childhood by turning to creativity to deal with the pain. 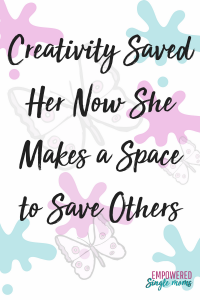 In fact, she says creativity saved her. 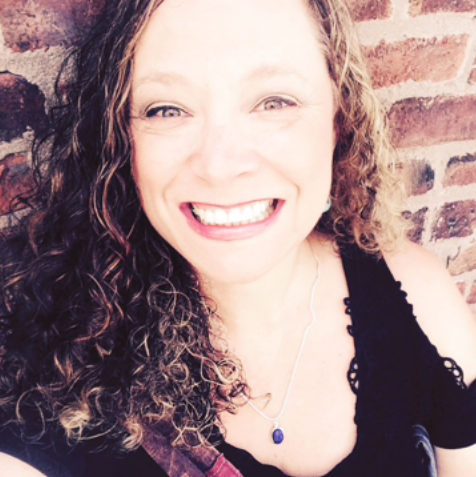 Ella’s healing journey inspired her to help others connect with their own creativity. I would have to say when I was suffering depression and anxiety. It took over my world. Sometimes I couldn’t find joy in even the simple things. I spent years in counseling and therapy, reading every self-help and personal growth book and seeking every kind of help. I was a mess emotionally, mentally, and physically, and I was always in pain, sad, and negative. My childhood was very hard for me and everything triggered my pain. I tried so many things to feel better. When my kids showed effects of what was going on with me, all I wanted to do was take away their pain, but I was suffering so much myself. It took a lot of time to get out of that cycle. I learned that I am lovable and good enough, that it’s okay to reach out for help, and that I am safe in the world even though I have experienced unsafe times. Furthermore, I learned that what makes me happy is what I’m passionate about, and what I’m passionate about is my purpose here on Earth. I learned to follow my heart and my purpose on this planet. I reached out for help. Read a lot. Wrote in my journal. It helped me focus on what I love: music, art, and creativity. So, I wrote music, took pictures, and helped people. Through the nonprofit organization I created, I brought more creativity and happiness into people’s lives. 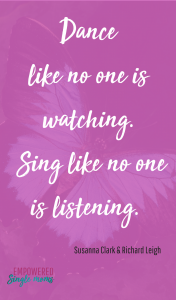 I sang a lot and read lots of positive material as I worked at changing my thoughts. As I healed my physical and emotional challenges, I spent more time by the water, talked about my feelings, and gave gifts. I made vision boards and went for nice long drives with my kids. Spending time with friends and loved ones also helped me to overcome my challenges. To be honest, I’m still working on this one. I’m following my purpose and praying every day that if I keep doing what I’m brought here to do, I will receive all the abundance I deserve. I’ve been working on this nonprofit for a few years and now I’m ready to bring it to life. It gets better. It gets easier. You get happier. Everything will work out. Try your best to see the positive in everything, even the challenges. Take care of yourself. Put yourself first, even before the kids, the house, or anything else. Put yourself first. You will thank yourself in the end. Do things you love, things that make you happy. Eat food you love. Spend time with friends. Follow your heart. Read inspiring books. Watch inspiring videos. Laugh. Cry if you need to. Be creative. Write. Sing. Dance. Draw. Create in any way you wish. Walk. Be in nature. Visit the water. Have baths with Epsom salts and candles. Relax with candlelight and nice music. Take pictures. Look in the mirror and say, “I love you.” Be your own best friend. I’m reading Codependent No More by Melody Beattie, lots of Doreen Virtue literature, and Louise Hay books. I would definitely recommend these authors. The first book I ever read from start to finish was Melody Beattie’s Choices. Louise Hay saved my life. Her book, You Can Heal Your Life, is amazing. It helped me in so many ways. And Doreen Virtue is so awesome. I recommend all her spiritual cards too! I would have answered: More happy people. A lot more creativity. Freedom of expression. Self-esteem. Healing. More community gatherings. More people seeing eye to eye. People feeling safe. More light. More positive music. Freedom. More giving. More sharing. People being accepted for following their hearts. More understanding of our differences. Less focus on money and more focus on happiness. Through all my life’s ups and downs, all the trauma, abuse, depression, anxiety, and inner turmoil, there are two things that got me through: support from kind, loving people and creativity. These things literally kept me alive at times. So, as an adult I created a nonprofit organization to offer support and creativity. Helping Hands Foundation for the Arts is a nonprofit organization that brings music, art, and creativity into people’s hearts, homes, and lives. The goal is to create a program for each different group of people, so people of all ages and all situations can benefit and experience more music, art, and creativity.